A-National Limousine provides corporate shuttle services for some of the nation’s most highly respected companies. Our corporate shuttle services provide vehicles that travel on a fixed or continuous shuttle route for point-to-point or multiple stop transportation. Shuttle services are available for conference facilities, corporate or residential complexes, office parks, and educational institutions in the Greater Atlanta Area. 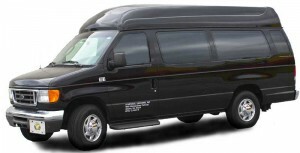 If you need to shuttle employees or any group, A-National Limousine will customize the service to fit your needs. Our attentive staff will plan the route to your specifications, manage the ongoing shuttle service, and provide detailed reporting after the fact. Give one of our corporate shuttle service specialists a call today (404-762-3007 or 800.533.4859) for a consultation or quote. We will provide you with detailed information and create a shuttle program to exceed your expectations and fit within your budget without compromising our outstanding customer service.